Frankfurt am Main is the financial and transport centre of Germany and the largest financial centre in continental Europe. It is the seat of the European Central Bank, the German Federal Bank, the Frankfurt Stock Exchange, and the Frankfurt Trade Fair, as well as several large commercial banks. 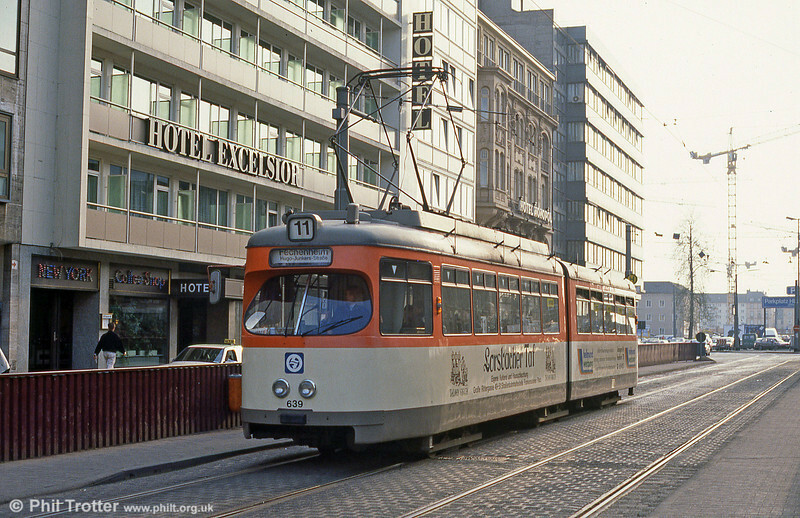 Frankfurt am Main's tramway system was one first electric tramways in the world with electrification starting in 1899. Frankfurt (Main) 639 at Baselerstrasse on 2nd April 1991.